Morelia is the capital city of Michoacan. It has been named a UNESCO World Heritage site and has a population of around half a million. The city has many beautiful gardens, atriums and plazas, and has been hailed as a regional cultural center. It is an interesting destination for visitors who enjoy local culture and colonial architecture as the city has more than 200 historical buildings, with most having been constructed from pink quarry stone. Morelia was founded by Antonio de Mendoza during 1541 and was called Valladolid. After the Mexican War of Independence, the name was changed in honor of one of the heroes of the time, Jose Maria Morelos de Pavon, who was born in this city during 1765. 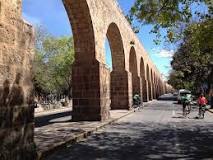 Of all the beautiful historical monuments in the city, the aqueduct and the cathedral attract the most attention. Some of the interesting things to do in Morelia include going horseback riding, swimming in the mineral waters you can find at Balneario Cointzio, which is around ten kilometers away from the city, buying crafts at the Casa de Artesanias or taking a lovely walk around the Historical Center. You could also learn Spanish at one of the many Spanish schools based in the city. There are day trips you can take to Santa Clara del Cobre or Patzcuaro. There are several restaurants within the city, which should allow you to sample the diverse range of cuisines within the city. If you happen to be in Michoacan any time between December and February, you could take a trip to view the monarch butterflies that migrate during this period. This may be a bit long for a day trip, but if you plan to stay overnight, it will offer you more time to view the butterflies in the reserves. To ensure that your day or overnight trips are successful, you should make sure that you buy Mexican car insurance before you leave for your trip. Mexican auto insurance is required if you intend travelling on the road in Mexico. You can reach Morelia by air as it has an international airport. However, travelling by car makes it easy for you to reach many of the tourist zones or you may have to rent a car in Mexico. You can choose to buy a liability only or a comprehensive policy. If you opt for a liability only Mexican auto insurance policy, you will not have cover for any injury to persons in your vehicle or for any damage to your vehicle. The policy will only cover injury or damage to third parties. Opting for a comprehensive policy will offer cover for liability and damage to both parties involved in an accident. If you go online to purchase a Mexican car insurance policy, you will be offered the option to add additional cover, such as legal, medical and bail-bond assistance. You should also consider obtaining the facility to have your vehicle repaired in the US or Canada as you may not want to extend your holiday while waiting for your car to be repaired. These policies can be purchased at the border post, but it is recommended that you buy it online as you can obtain exactly what you require without the queues and extra cost. 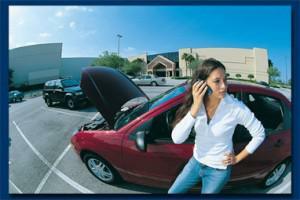 You can purchase your Mexican auto insurance online via this MexInsuranceStore.com link. The best way to drive in Mexico is to comply with their law. It is their law that every car owner must have Mexico insurance. It’s terrifying not to comply, because you can be detained for your violation. Many tourists are planning to visit Mexico when it’s springtime. It’s always helpful to ensure you have what you need in travelling—and it’s your Mexico insurance. 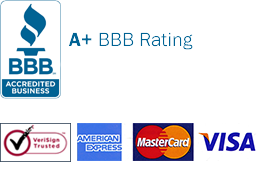 Start shopping online for the best coverage and you get the most reasonable price. Yearly Mexican insurance brings not just peace of mind but also good coverage benefits. Mexican insurance store policies cover 24/7 when it’s time to get claims. It’s good to find protection from this car insurer. Insurance buying is easier now! Even without talking on the phone, you can buy Mexican insurance right away. The online process has made difficult things easier. If you happened to forget your Mexico insurance policy at home, think of the big hassles it may cause you because you simply forgot it. It is expected that your dog or cat will go through an inspection before arriving to Mexico. It’s a common procedure; much like similar to showing your Mexican auto insurance.